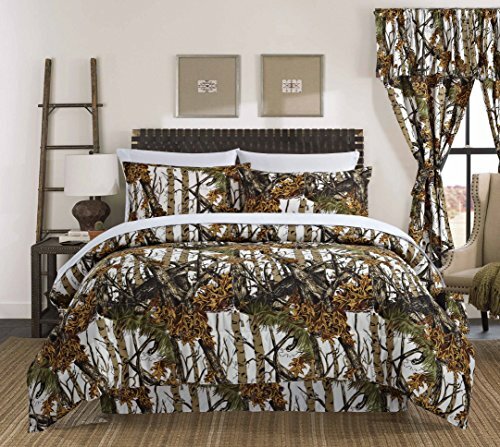 Unique Licensed Regal Comfort Camo design camouflage pattern, feel immersed in nature and the forest with your choice of color and size. Add style to your Children’s Bedroom and teens love them, Military and Hunting enthusiasts MUST HAVE THESE! Hard to find Camouflage style in all sizes! Let your bed stand out with something very unique, different colors suite boys and girls, with adults being able to match any home décor. 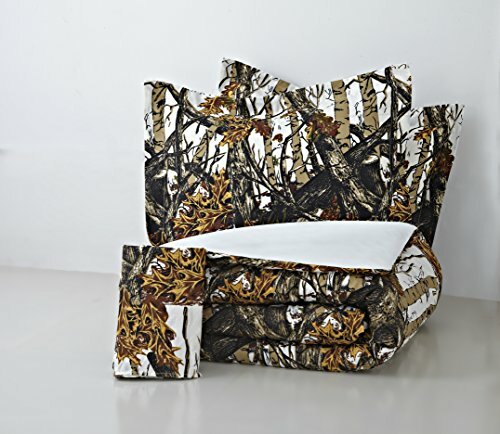 • 2 Camouflage Pillow Shams. Because microfibers are so fine, it dries faster, and can be washed more than standard Sheets. They won’t pill, resist wrinkles and hold up well to washing, drying, and regular use. • Beautiful printed camouflage design. • 1 Camouflage Fitted Sheet. • 4 Pillowcases (2 Camouflage Pattern & 2 Solid Color).